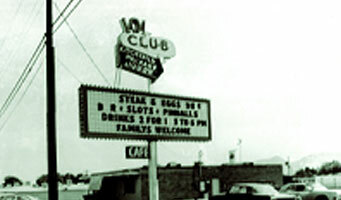 Don Laughlin bought his own business, the 101 Club in North Las Vegas. U.S. Postal Service inspector insisted he give it a name in order to obtain mail. “I followed his advice,” Don Laughlin says with a laugh. “He suggested ‘Laughlin’ because it was a good Irish name. In 1972, a west wing added 48 rooms and the east wing, built in 1975, added 52 rooms. A first tower was built, adding 253 rooms and 14 floors. Don completely funded the construction of the Laughlin Bridge connecting Nevada and Arizona. 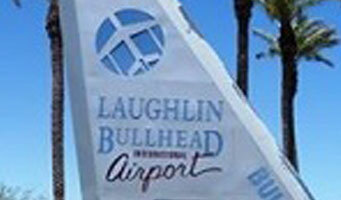 Donated the land and spent $9 million on flood control and planning for Laughlin/Bullhead City International Airport. A new 30-story tower opened and added 792 rooms. Addition of a 34-lane state-of- the-art Brunswick bowling center. Addition of our 5,000-square- foot Race & Sports Book. 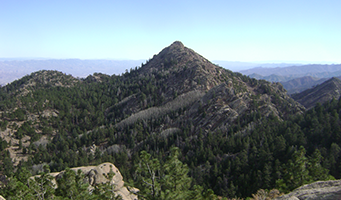 Don donated his ranch home in the Hualapai Mountains near Kingman, Arizona, valued at $1.2 million, to Mohave Community College. Don Laughlin, 1991 Gaming Hall of Fame inductee, has made it clear, in many ways that he cares about this community and that Laughlin is his home. Don Laughlin’s affinity for gaming began when he was a child and ever since, he has lived a life destined for success. He first found his gambling inspiration while growing up on a farm near Owatonna, Minnesota. With his money he earned from trapping mink and muskrat, he bought slot machines from a mail-order catalog and installed them in local pubs. The profits he earned, he shared with pub owners. The young businessman was making $500 a week when his school principal gave him an ultimatum: get out of the slot business or get out of school. Don got out of school since he was making three times more than the principal. That was more than 50 years ago. While slot machines at that time were illegal, they were "tolerated" by local authorities. When Congress passed the far-reaching Johnson Act in the early 1950’s which abolished slot machines and interstate shipment nationwide, Don moved to Las Vegas, then the only legal haven for such entertainment. He worked as a bartender by day and attended card and dice dealers’ school at night. In 1954, he saved enough money to buy his own business, the 101 Club in North Las Vegas. Ten years later he sold the place for $165,000. Ready for new challenges, Don embarked on what would become an incredible journey. It was in 1964 that the course of gaming history would change forever. Fresh from a successful 10-year gaming venture in North Las Vegas, Don began scouting the rugged Mohave Desert in his private plane. A Colorado River stretch of land called Tri-State caught his attention. The area was vacant except for a boarded-up eight-room motel. Two years later, he paid $235,000 ($35,000 down) for the motel and six acres of riverfront property. 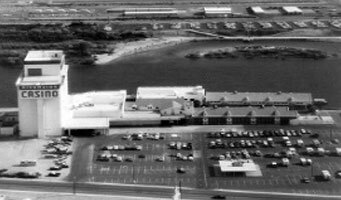 In 1966, the Riverside Resort opened and offered all-you-can-eat chicken dinners for 98 cents, play on 12 slot machines and two gaming tables, and accommodations that included a stay in one of the four of eight rooms – the Laughlin family occupied the other four rooms. When increasing gaming revenues from traveling motorists and fishermen netted a sizable bank account, Don expanded. In 1972, a west wing added 48 rooms and the east wing, built in 1975, added 52 rooms. A first tower was built in 1983, adding 253 rooms and 14 floors. In 1986, a second tower added 307 rooms and 14 stories. This expansion cost Don Laughlin $30 million and gave the resort a total of 660 rooms and suites. In 1994, a new 30-story tower opened and added 792 rooms for a total cost estimated at over $70 million. Today, the Riverside boasts 1,405 beautiful rooms and suites, most with breathtaking river views. Don’s ingenuity surfaced again in 1998 with the development of a $10 million 34-lane state-of-the-art Brunswick bowling center and all-new Race & Sports Book. Construction was completed in early 1999. Accessible from the 2nd floor of both the north and south towers, the Riverside Lanes bowling center is equipped with numerous amenities for the entire family including a snack area, bar and pro shop. 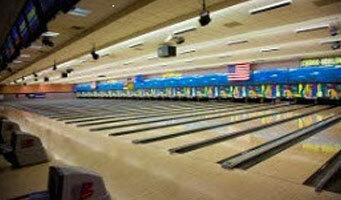 At approximately 42,000 square feet, Riverside Lanes is big enough to accommodate championship and league bowling. Our 5,000-square- foot Race & Sports Book is located adjacent to the bowling center. 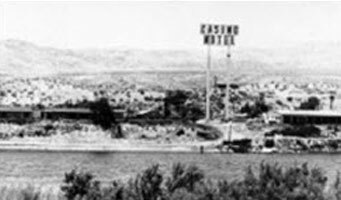 The town of Laughlin’s first casino and only family owned and operated property boasts numerous gaming and entertainment amenities. The Riverside is home to over 1,700 slot and video poker machines including the latest technologically advanced video machines, 50 live gaming tables, Poker, Blackjack, Roulette, Keno, Bingo, a Race and Sports Book and Craps. In addition to gaming, amenities include plenty of fun and entertainment for the entire family. Don’s Celebrity Theatre seats 800 guests and is home to top-name entertainment such as Charo, the Oak Ridge Boys, Vicki Lawrence, Roy Clark, Glen Campbell, and Debbie Reynolds, to name a just a few. The Karaoke Dance Club offers more than 1,400 square feet of the dance floor for you to kick up your heels or experience the Karaoke club by night. 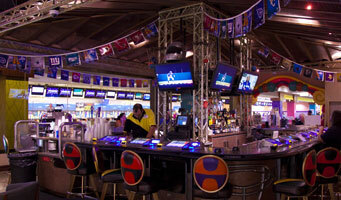 The world famous Losers’ Lounge provides live top-40 bands nightly, two levels of seating and two dance floors. In April 2003 the Riverside expanded across Casino Drive with an all-new casino addition (Riverside Casino West). The new gaming area can be accessed by either the newly created 560 space adjacent parking garage, or via the enclosed sky bridge crossing over Casino Drive that connects to the main casino. The first floor of the new Riverside Casino West addition opened with 180 of our guests' favorite Reel, Video Poker, and Keno Ticket-Out machines, in all denominations including 1 Cent, 2 Cent and 5 Cent Poker and Keno. Riverside Casino West is also home to a new bar and snack bar called The West Side Snack Bar. The second floor of the new addition features Casa Serrano Mexican restaurant, where patrons can enjoy a wide selection of Mexican style dishes. In the spring of 2003, the Riverside also opened an all-new Food Court in the North Tower featuring Cinnabon and Seattle’s Best Coffee, Pizza Hut and Dreyer’s Ice Cream outlets. Along with his success, Don believes in supporting the local community. Don funded the entire construction of the Laughlin Bridge connecting Nevada and Arizona in 1986 at the cost of $3.5 million. An estimated 50,000 residents and visitors cross it each day. Also, he donated his ranch home in the Hualapai Mountains near Kingman, Arizona, valued at $1.2 million, to Mohave Community College. 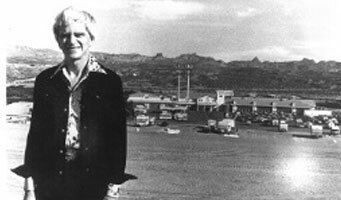 Our town’s founder also donated the land and spent $9 million on flood control and planning for Laughlin/Bullhead City International Airport. The airport, dedicated in 1991, is capable of accepting Boeing 737s and MD80s and receives flights from around the country. Free shuttle service for guests is offered between the Riverside Resort & Laughlin/Bullhead City International Airport. Since the beginning, the Riverside Resort and the Laughlin family have demonstrated their hospitality and generosity to many Colorado River communities close to Laughlin. Much has changed since 1966. 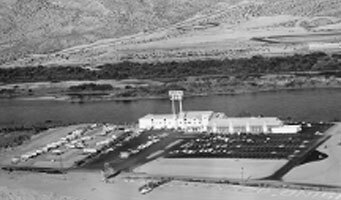 The once-bankrupt motel in Tri-State has evolved into a resort and casino of epic proportions: Don Laughlin’s Riverside Resort Hotel & Casino. Today, the Riverside’s workforce numbers over 2,000 employees with an annual payroll of over $50 million. 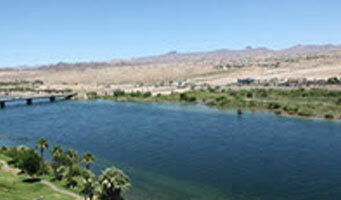 Laughlin’s population is now approximately 10,000 while Bullhead City and its unincorporated area boast a population of about 42,000 permanent residents. 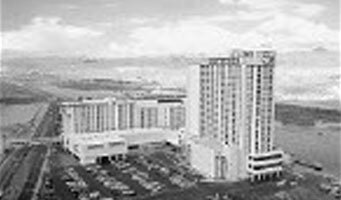 An estimated 14,000 Nevada and Arizona residents currently work in Laughlin’s hotels and casinos. Multi-million dollar Laughlin housing developments have rushed into construction to keep pace with the business boom. A once barren desert terrain has become a modern boomtown ignited by the imagination of one man from a small farm near Owatonna, Minnesota. Despite his success, Don still maintains a personal connection to his customers and can often be seen talking to guests around the property. 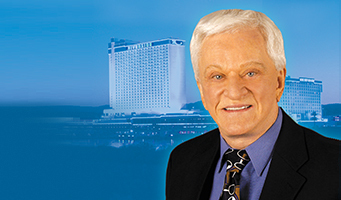 This 1991 Gaming Hall of Fame inductee has made it clear in many ways that Laughlin, Nevada, is his home.